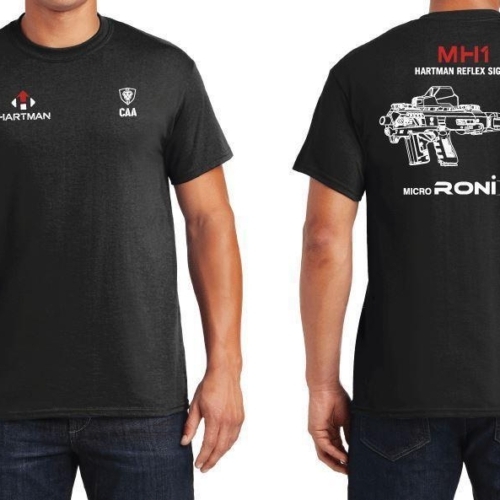 CAA Micro Roni T-Shirt contains both CAA & Hartman logos on front chest of shirt. An illustrated design of the Micro Roni is printed on the back. FEATURES 100% Cotton Gildan® Heavy Cotton Designed by CAA™ Printed in the USA CAA USA DOES NOT SHIP INTERNATIONALLY, USA & USA TERRITORY ONLY! 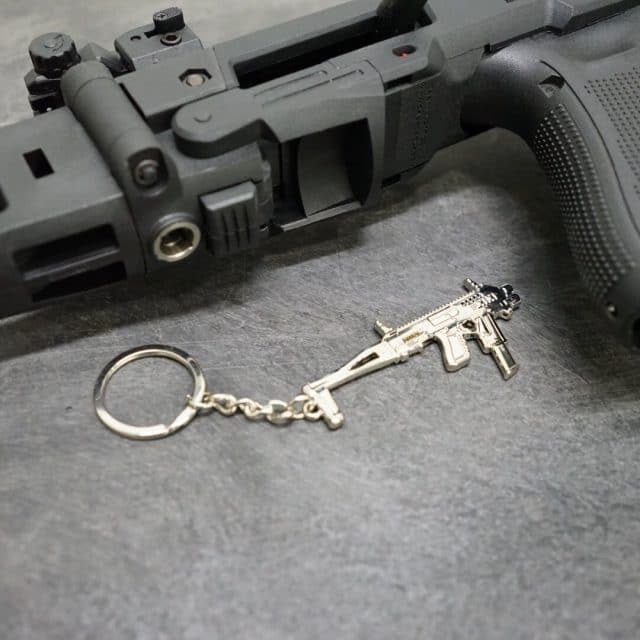 This is the official keychain of the original Micro Roni® Pistol-Carbine Conversion kit. CAA USA DOES NOT SHIP INTERNATIONALLY, USA & USA TERRITORY ONLY! 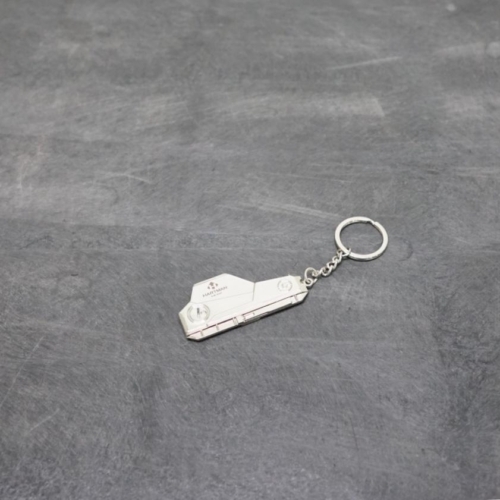 This is the official keychain of the original Hartman MH1 Reflex Sight. 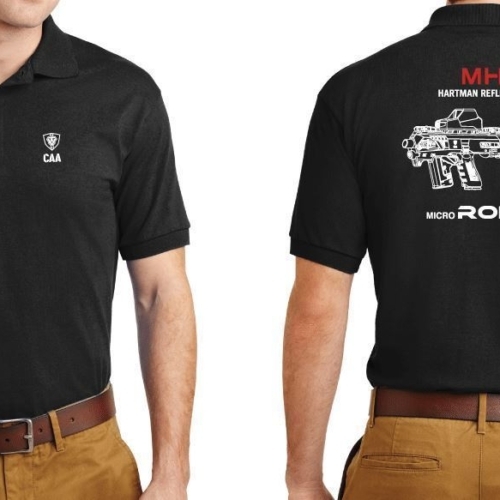 CAA USA DOES NOT SHIP INTERNATIONALLY, USA & USA TERRITORY ONLY! CAA™ Logo Cap in Flexfit Wooly Combed SIZE: S/M (6 3/4” – 7 1/4”) L/XL (7 1/8” – 7 5/8”) FEATURES 63% Polyester / 34% Cotton / 3% P.U. Spandex Designed by CAA™ Printed in the USA CAA USA DOES NOT SHIP INTERNATIONALLY, USA & USA TERRITORY ONLY! CAA™ Logo Cap Snapback Camo SIZE: OSFA (One Size Fits All) FEATURES 60% Cotton / 40% Polyester Designed by CAA™ Printed in the USA CAA USA DOES NOT SHIP INTERNATIONALLY, USA & USA TERRITORY ONLY! Hartman™ Logo Cap Red in Flexfit Wooly Combed SIZE: S/M (6 3/4” – 7 1/4”) L/XL (7 1/8” – 7 5/8”) FEATURES 63% Polyester / 34% Cotton / 3% P.U. Spandex Designed by CAA™ Printed in the USA CAA USA DOES NOT SHIP INTERNATIONALLY, USA & USA TERRITORY ONLY!